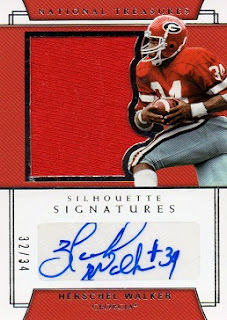 Another sharp looking autographed card from the Panini line joins the Herschel Hoard. This is a 2018 National Treasures Collegiate Silhouettes Signatures card of Mr. Walker. 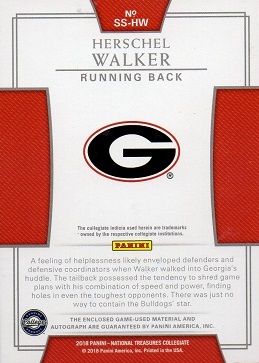 The card features a jersey swatch as well as an autograph. It is serial numbered to 34, with this card being #32.